The OSI nominates people to the board despite their corporate affiliations, not because of them. The idea that the OSI would elect a "Microsoft" board member is as absurd as the idea that we'd elect a "Google" board member or an "IBM" board member. We elect people based on their own merits, not the merits (or demerits) of the companies or organizations they are affiliated with. Notwithstanding the foregoing, when a company sponsors a project that allows an individual to really shine—to show great open source leadership, vision, communication skills, etc., then we may nominate based on what that individual has done. But never based on the company's sponsorship of the project. Moreover, we work hard to avoid even the appearance of corporate favoritism. The industry analysts are now fairly consistent in calling Red Hat the leading open source company, and based on the most recently reported revenue numbers, Red Hat does earn approximately 5x its closest rival. (Disclaimer: I do work for Red Hat, but that affiliation does not color this objective fact.) If the OSI were remotely representative of corporate interests, it would have at least two board members, if not more. But we have made the decision to not nominate some really, really great open source leaders from Red Hat precisely because we do not want to give the appearance of corporate favoritism. Thus, while we require individual, not corporate merit, merit alone is not sufficient. I have seriously considered resigning my position in order to give others at Red Hat a chance to serve. And I may yet do that in the future. 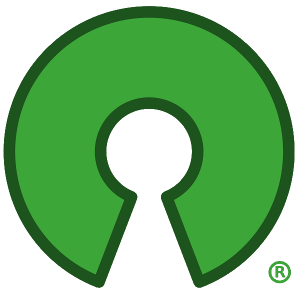 In terms of what Bruce Perens has or has not done for open source. He claims to have solved the license proliferation problem by elegant means, which is wonderful to hope for. But when Bruce was invited to participate in our license proliferation process as a member of the public, he refused. He would do no work without special title and recognition. And I don't have a problem with that--many people won't even show up to work without a guaranteed salary of over $1M, with options and bonuses that can total hundreds of millions or even billions of dollars if lucky. That's the free market at work. What I do have a problem with is that the work of the committee in 2005-2006 showed that elegance does not survive politics well, and that all attempts to create an elegant solution were strongly shouted down by influential members of the open source community (and license stewards of significant open source licenses). To make a claim of a great solution without saying what the solution is, and without subjecting that solution to the kind of peer review that is Open Source smacks of the same kind of tactics we see when a company claims to own 235 patents that are infringed by Linux. It's all assertion and no facts. If Bruce had participated in the license proliferation committee and had won the day with his elegant argument, he might well be president of the OSI today. But at this point his claims of solution are no stronger than Eric Raymond's presumptive claims at the start of the process that there should be only 3-4 licenses and all others should be deprecated. In my haste to post the comment, I neglected to mention one other salient fact: it was I who suggested to Bruce that he mount a public campaign to join the OSI. It was not I who suggested that he campaign on a platform that is misleading, jingoistic (as Matt Asay says), or otherwise negative in its implications about how the OSI elects is members, sets its agenda, or accomplishes its mission. I don't see how Bruce can claim to have a short list of four licenses. I start with BSD, GPLv2, GPLv3, LGPLv2 and LGPLv3 and that's five. If he thinks that people should simply agree with him that all GPLv2 should be relicensed GPLv3, I invite him to spend some time with Linus Torvalds, who notoriously and politely disagrees. Having a solution is not the same as convincing people to adopt it. "What has Bruce done for open source lately?" As much as I resapect Bruce's past accomplishments, I'm not impressed with the way he's conducting his campaign for a seat on the OSI board. It's divisive and arguably misleading. I believe that Bruce is resting on his laurels, which is okay; it's not, however, a basis for a board seat with OSI. OSI has done an excellent job of "protecting open source", and I trust it will continue to do so. It's wisely kept away from the political excesses which have marginalized the FSF, and I trust that it will continue to do so. Bruce's campaign seems to be based on the necessity to "keep Microsoft out", which seems again like a poor basis for a candidacy--I don't believe there's a need to do so, and it's a negative campaign point. "Reducing license proliferation" is a little better, but his claim that there should be only four licenses seems extreme to me. It's completely unclear to me how he'd implement this course of action, and I'm not sure, without a lot of additional detail, whether it would actually be in the interests of the open source community to do so. Sorry, Bruce. If your campaign were more focused and positive, I might feel differently. I see rhetoric and tilting at windmills, but I don't see a direction being expressed that I'm either comfortable or happy with. -- David "Lefty" Schlesinger ACCESS Co., Ltd.
http://linuxintegrators.com/acoliver/blog/2008/03/20/x-0354.html I'm speaking for myself alone.